Want a new garage door? What color do you want? 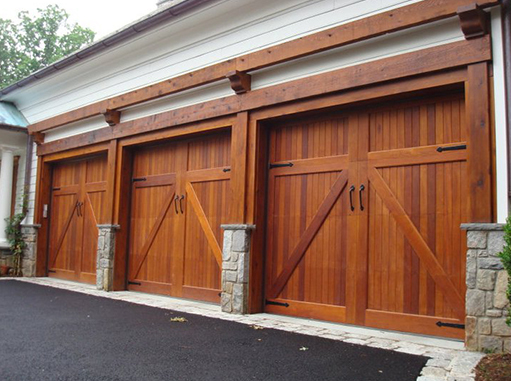 What size is your garage door? What design do you prefer? Don’t worry we’ll help you from here. No matter the preference, Dr Garage Door Repair Thousand Oaks CA has a diverse collection of new garage doors, so we will find the ideal one for you. We offer same day emergency service, and we will install the brand new door the very same day you call us. Price is always something a customer contemplates, so we will work with you to make you happy and satisfied with the price. What are you waiting for? Call now! A garage door is nothing without a properly working opener! We carry all the top brands such as, Lift-Master, Wayne Dalton, Stanley, Genie, and more! Just as we carry all the top brands, we also carry all the different types of openers. Belt drive, chain drive, screw drive, you name it, we got it. Don’t hesitate to call to setup an appointment. The belt drive openers are the quietest because they use a rubber belt instead of a metal chain. They are the most dependable, reliable, and will last a long time if you keep up with your maintenance. Call us and get your new belt drive opener installed. A screw drive opener is also a great choice! It has less parts that move so that makes it quiet. Also it’s operated with the help of an electric motor and a long screw that lifts the door. This opener requires minimal amount of maintenance and is very reliable. Call now! Want the most popular and inexpensive opener in the business? Well the chain drive is the choice for you. Lots of customers shop on a budget so this would be their first choice. There is only one issue, this is the loudest opener out of the four. Call now for more details. The jackshaft opener is mounted on the side of the garage door. It is a quiet system just like the belt driven openers. This is the best choice when you have a low ceiling in your garage and not enough space. Contact us if you have any questions about this newer system. Dr Garage Door Repair Thousand Oaks CA also offers installation services for single systems like installing new springs for your garage door. We are well equipped with experienced technicians who can take care of all types of spring installations. Springs help the garage door to work properly by lifting them and giving extra support to the garage door openers. Our certified technicians will inspect your garage door and help you choose the appropriate spring system for you! We offer this service at second to none prices. To know more details and to book an appointment, call us today.